Wyoming, officially known as Equality State, is the least populated state of US nation. It is a huge state but most of the land is under preservation by government and large stake of land proportion fall under mountain terrain, making it unsuitable for living. It approved the US constitution and became 44th US state in 1890. There has been more than 10% hike in its population census in past decade and economy has also moved to more stable state. Wyoming has vast deposits of minerals and snowy state is also known for various tourist sites and trails. Wyoming does not levy tax on most of sources but yes, a lowly 4% sales tax is collected from Wyomingites. Economy is driven mostly by mineral extraction industries but agriculture industry’s role cannot be ignored as it has been a major contributor from several years. What is Wyoming board of nursing and what are its responsibilities? Wyoming Board of Nursing is a state agency that renders safe and healthy nurse practicing for safeguarding public health in Wyoming. Excellence of service, maintaining ethic principles in nursing, promoting education, public safety and regulating competence in professionals are the main goals behind board’s working. Licensing of eligible and deserving candidates and verification of licensing of working members to avoid forgery of license are also board’s crucial responsibilities. Reviewing of nursing programs is also very crucial as standards of service and training must be maintained. This work is also done by the Wyoming Board of Nursing. Nursing Boards are meant for general residents and ensuring public safety, and if any one of you has any complaint then you can file it in State’s Abuse Registry. Wyoming State Board of Nursing acts on any complaints filed in abuse registry. Who are the current members of Wyoming Board of Nursing? Board members are skilled and proficient personals, who have been appointed to regulate nursing practice and enforce lawful training in State. 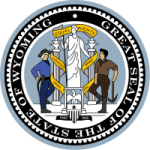 Currently there are 7 board members who have been appointed by honorable Governor of Wyoming beside the various other staff members working in Wyoming Board of Nursing. There are 12 staff members and all these members have to participate in various board meetings.